In a few hours, 2014 will be coming to a close and I’ll be ringing in 2015 with some of my good friends. 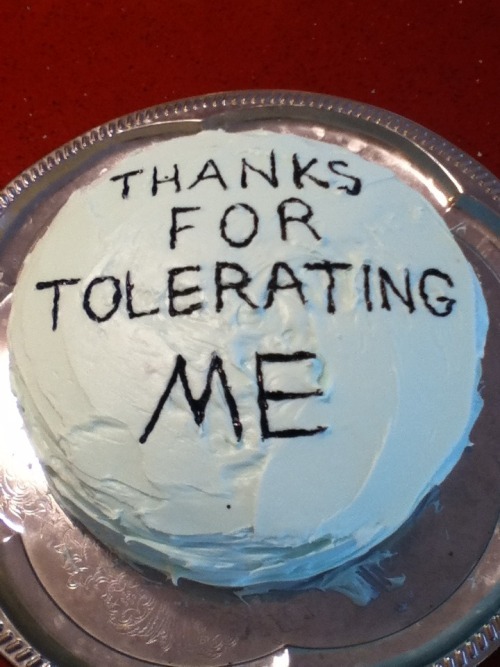 Before that happens, however, I wanted to say thank you to each and every one of you that has visited my humble little blog. I frequently check my blog’s stats and I can’t tell you how giddy they make me. I started this blog back in April but have truly only become active in the past couple months, yet even what I’ve seen in that time has amazed me. From what I’ve started to now, I’ve been viewed over 2,100 times and have had visitors from 47 countries. 47!! That’s almost a quarter of all the countries in the world. It may sound a bit ridiculous that I’m this excited about that because, well, it’s the internet and it may have only been one or two random hits from some of those countries, but to think that this dinky little blog was viewed by someone thousands of miles away from me for even a second is still pretty awesome, because even for just that one second, someone clicked on a link that led to my blog because even for just that single second, they thought something that I wrote would be of value to them in some way. A second may seem like nothing in the grand scheme of things, but to me they make all the difference. They’ve encouraged me to keep doing this when I haven’t felt motivated or felt like it was pointless to keep going, especially in a sea of hundreds of other beauty blogs and food blogs. Even for a second, I was still chosen, and for those seconds I’ll still strive to put out something worthy of that second–and hopefully more–of your time. I’m still a beginner. I’m still a novice when it comes to makeup application, and maybe an advanced novice at cooking. A lot of what I’m capable of is still only being realized, and while it’s incredibly daunting for me to put that out on the internet for literally the world to see, seeing that stepping up to the challenge is reaping some pretty great rewards is all the more encouraging. And who knows, perhaps me making a potential fool of myself will give someone else the courage they’ve been looking for to do the same. Source: Tumblr… but probably Imgur… but probably reddit. I believe I’ve previously alluded to the fact that I would like to up my game with this blog, ie. by giving it its own domain (not just be a “.wordpress.com” blog), give it my own personal design, etc. It’s a slow going process but still a process that I’m fully committed to. I wanted to use this post to talk about that a little more so y’all can be aware of what you can expect to see from the blog over the next several months. If you’re a frequent reader, you’ll have noticed by now that I changed the theme for my blog. I’m not 100% satisfied with it, but I like it a little more than the previous one I was using, so it’ll do for now but don’t be surprised if it changes again. As of this post, I do not have my own domain for the blog and can work only through WordPress’ limitations, meaning that my theme selection is limited to the choices that WordPress gives me. With getting my own domain, I should hopefully have more control and make a setup that is wholly my vision, but that is further down the line. Now, this blog is not my fulltime gig. I actually am employed full time as a laboratory technician and the blog is my side project. Everything I do on and for the blog is done on my time outside of work (with the occasional posting when I can sneak it in at my desk). This includes the posts, the extra work that goes into the post of swatches, cooking or baking, taking photos of the results, etc., and learning the necessary skills to make all of those things better. I have no photography background other than pointing a camera and taking pictures. I have a very minimal coding background that extends to the CSS and HTML work I did back in the day when I played Neopets and customized their individuals pages (true life, man). On top of producing blog content, I’m learning and practicing to make that content better for my audience. I want to put out the best product that I can, because really this blog is a brand, my content is the product, and the world of bloggers is the market. My product needs to be polished and the best that I can produce to be competitive and gain your interest and continued readership. I know I haven’t been the best at posting consistency and this is something I’m trying to work on, but I want you all to know that my primary focus is a lot of those other skills that will enhance the blog and in turn the posts. In comparison, the posts are the easier part; while I still put work into what I write, what I am writing is my opinion, and I know that well enough to communicate it well and get it out to you. What enhances my opinion and is the more difficult part is putting it into a format where you can then analyze and form your own opinion after I’ve stated my case, and that means having a blog that is appealing and easy to read and navigate, as well as complementing my words with photos that are clear and really let you examine what it is I’m talking about. Fortunately I also love photography and learning how to program so it makes the process worthwhile but still difficult and time consuming. And granted, for as long as I have this blog, I will continue to learn and modify my skills in these areas, however I would like to have a solid base that is still very good and can only get better yet still leaves me satisfied when I present it to you. So that’s where I’m at. For now, I will still be producing content and working behind the scenes on getting a blog together that feels a lot more my own than what I have on WordPress yet, but I want to keep on a role with posting. Ultimately, it doesn’t matter how pretty and sparkly I make this place if I’m not producing anything to draw you in and show you just how pretty and sparkly it is. I’m hoping to get at least one post out a week and fall into that rhythm, which shouldn’t be too difficult as I have a lot of ideas written down on paper that will soon turn into blog posts! And I’ll do the best I can to keep you updated on my progress as far as getting the blog free-standing. Thank you for sharing this journey with me, and if you have any suggestions or resources that you think will help me along in my goal, I certainly welcome them. I’ll take all the help I can get! If you saw my “Take Two” post, you saw that I’ve been struggling with acne issues lately that have gotten in the way of any makeup attempts in my life. Specifically, once I got deeper into my half-marathon training about a month and a half ago (I finally ran the race this past Saturday, I’M FREEEEEE), I noticed that my pores were appearing more clogged than normal, particularly on my forehead, until it seemed as though every. single. pore. on my face was clogged. Now, I have health insurance thanks to my job, but over on /r/SkincareAddiction, I’ve heard some horror stories of derm office visits, and I was hesitant about the possibility of having to shell out some serious cash for a potential prescription treatment. Enter PocketDerm. The service has caught on like wildfire over on the subreddit in the past couple months. PocketDerm is a form of telemedicine (medical practice performed via electronic communication) founded by Dr. Nancy Satur and Dr. David Lortscher, both board-certified dermatologists based in San Diego, CA. For $19.95 a month, you will communicate with either Dr. Satur or Dr. Lortscher regarding your acne issues. 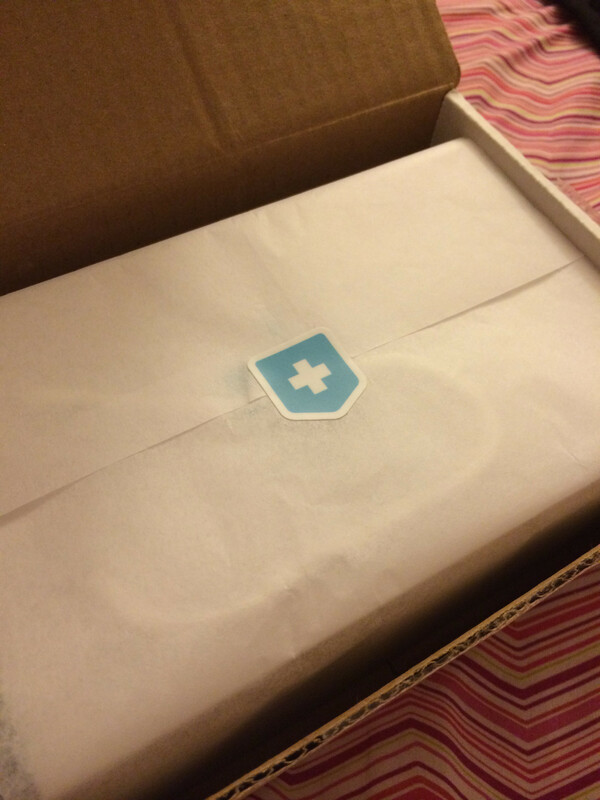 Included in the $19.95/month fee are the consultations with your dermatologist and the shipment of your personalized prescription product. Considering PocketDerm has a referral program where you can use someone’s referral code to get your first month free, and how desperate I was to find a solution to my acne woes, I took the plunge and signed out. The registration process is very simple. After creating your account, part of which involves identifying your state of residency (PocketDerm is sadly not available in all 50 states and is not available outside of the US), you are matched with your dermatologist–Dr. 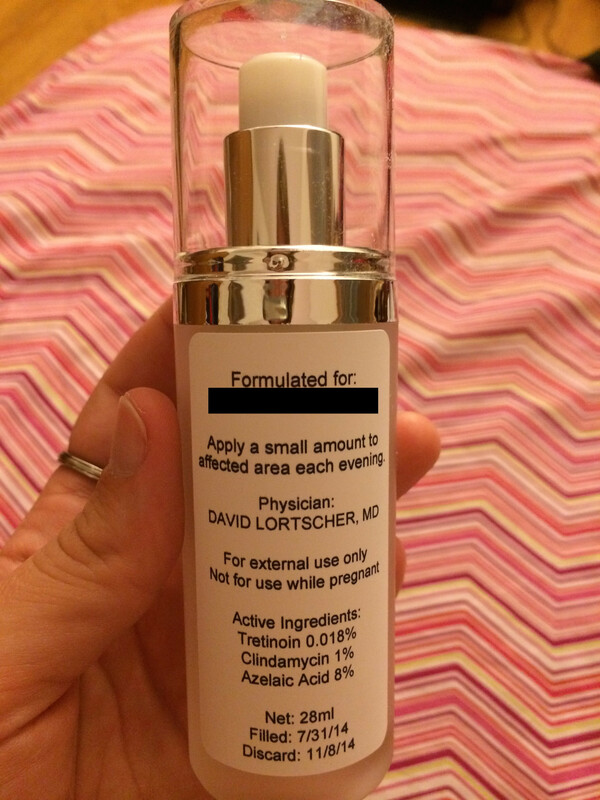 Lortscher is mine–and, after giving them your credit card info, are asked to fill out a simple questionnaire that asks questions about your skin, any medications you’re taking, allergies, etc., the standard medical questionnaire. You are also asked to upload photos of the affected areas. This includes three shots of your face–front, left side and right side–as well as back or chest shots if you have acne in those areas. Once completed, the information and photos are sent to your selected dermatologist who will review the information before giving you your prescription. I finished my profile around noon on a Thursday and heard back from Dr. Lortscher roughly two to two and a half hours later at which time I received my prescription as well as information on the active ingredients in my prescription. He also discussed the role my birth control plays in my acne (mine doesn’t really do anything to help, sadly) and gave me positive feedback on my current skincare routine that I decided to provide when asked for other information that wasn’t addressed directly in the questionnaire. My prescription was shipped out that same day and arrived two days later on Saturday. The bag within with all the goodies. The packaging is nice, neat, simplistic. I really enjoy the PocketDerm logo. 10/10 for presentation. Inside the little goodie bag are your prescription and some recommended samples. What I like most about the samples is that they are drugstore products, not anything obscure you would be unable to get without further assistance. 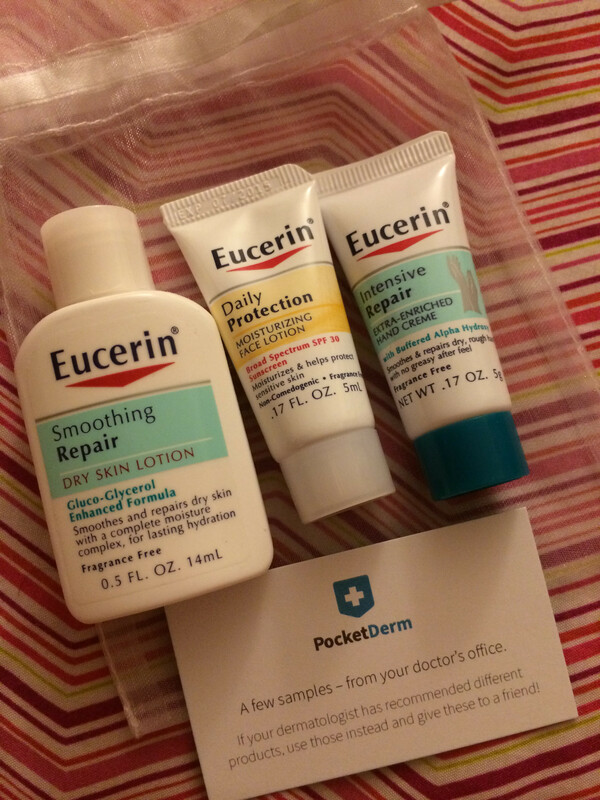 My samples were from the Eucerin brand, which can easily be found at Target, Walmart, CVS, Walgreens, any other drugstore. Again, very simplistic and neat package with their logo. This is your actual prescription. The active ingredients in my prescription are treitinoin, clindamycin and azelaic acid. All three ingredients require a prescription, and would normally each require their own separate prescription. Treitinoin is a retinoid that is used for treating acne, and clindamycin is an antibiotic as is azelaic acid, with the later helping to reduce inflammation. Your PocketDerm dermatologist can also suggest an oral medication in addition to this topical treatment, and will send a prescription to your pharmacy if you decide you’d like it as well. However, the amount for the oral medication is not covered by the $19.95/month fee, and you will have to pay an additional fee for it at your pharmacy. If you have insurance, you can use this to help pay for the medication. Dr. Lortscher recommended spironolactone for me but I declined for the time being due to potential side effects that I was worried would interfere with my training. The topical is meant to be applied after cleansing and can then be followed by moisturizer after waiting a few minutes. If applying the topical soon after cleansing proves to be irritating, they recommend waiting 20 minutes in between cleansing and applying the topical, but I have had no issues with it. The topical applies really smoothly to the skin and has a nice, matte-like finish. My skin actually feels pretty soft after applying it. 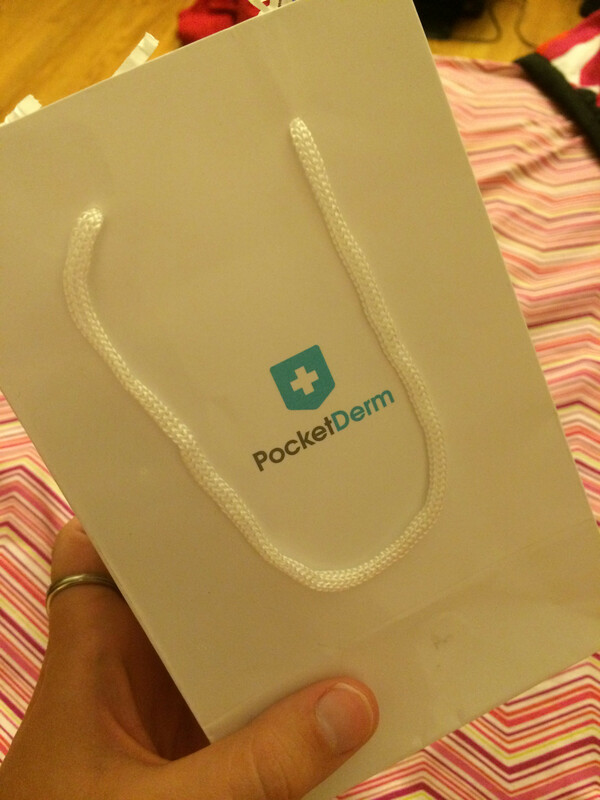 Overall, I am very satisfied with my PocketDerm experience so far. The consultation with Dr. Lortscher was quick, easy and painless, and my prescription shipped to me very quickly. For getting the first month free, this has been a great deal! If I do continue with PocketDerm, I will have to pay the $19.95/month fee, but the nice thing about the referral code is that it not only gives someone else a free month but it gives me a $10 credit in return when someone uses my referral code. As I stated above, the $19.95/month fee covers your scheduled consultations and product shipments. After your first consultation and shipment, your next of each is scheduled three months later. However, if you need to schedule a consultation sooner, or need your prescription sent to you sooner because you finished it before the three months are up, you can request either – for free. That’s right, extra consultations and earlier shipments are covered in that $19.95/month fee. No extra charges. You will also get plenty of follow-up emails from them filled with tips regarding your new prescription. If you currently have a dermatologist and have an established relationship with them, I would not jump to recommend this service to you. There are just some things telemedicine cannot cover that an in-person interaction can. However, if you live in a rural area where access to a dermatologist means driving over an hour, or you do not have insurance and dermatologist visits would normally run you over a hundred dollars even before prescriptions, I would highly suggest looking into this service if it is available in your state. 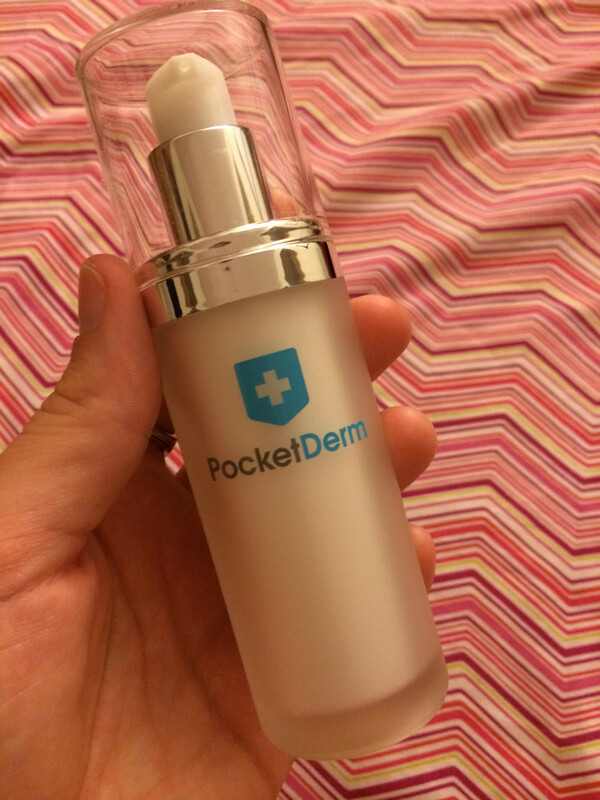 (Important note: Currently, PocketDerm is only for treating acne, not other skin conditions. Also, depending on the severity of your acne, they may still advise you to see a local dermatologist. YMMV). Interested in trying PocketDerm and would like your first month free? Click this handy dandy link to the /r/SkincareAddiction megathread of referral codes! What are your initial impressions of PocketDerm? Have you tried it yourself, and if so, what has your experience been like? What do you think of these moves towards teledermatology/telemedicine? Will this be the way of the future? Leave your responses in the comments below, as well as any questions you may have about PocketDerm. Hopefully I can answer from my experience so far!